Hello, Bonjour, Hola, Guten Tag, Ciao, Ola, Namaste, Salaam. I’m Tawakul! I am an Intern here at Heartware Network, joined from early January this year so it’s been 3 months since. However, I’m not someone new to Heartware, as I’ve been volunteering here since 2017. Now you’re probably wondering: How did I get this job? Why intern at Heartware? Why did the chicken cross the road? Hey now, chillaxxx. This is not a Q&A session. However, if you are interested you can always send me your questions directly via Insta DM by following @tawacoooollll (quick plug right there)! I’m here to share my life as an Intern at Heartware Network and how it’s like to transition from a volunteer to Intern, and hopefully you will get to see a new perspective of the organisation and perhaps who knows… you might be interested to intern here as well! As a Project Officer, my role is to curate, facilitate and execute various projects (of course with the help and guidance from my amazing supervisor, Elysia!). I was placed in charge of handling the President’s Challenge arm of Heartware Network, and managed to handle 3 President’s Challenge projects throughout my Internship period. 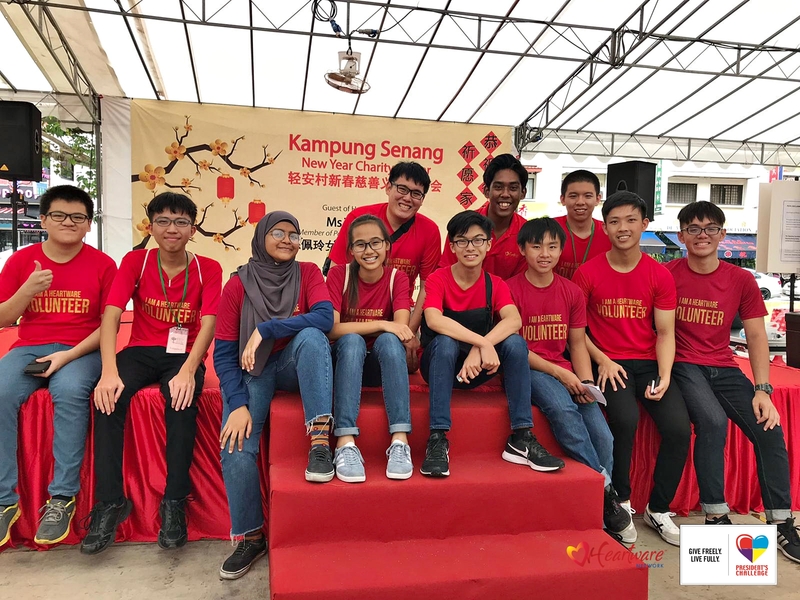 One of the projects that I managed, the Istana Open House over the Chinese New Year holidays on 6 February 2019 was especially significant to me as I used to volunteer for the Istana Open House as well. To see the transition from volunteer to the official Heartware liaison in-charge was significant to me as I got to interact with many volunteers and got to talk with different groups of people such as the President’s Challenge Volunteer In-Charge. Volunteers (including myself before I began interning at Heartware) are generally not aware of the stuff that happens behind the scenes of every event. 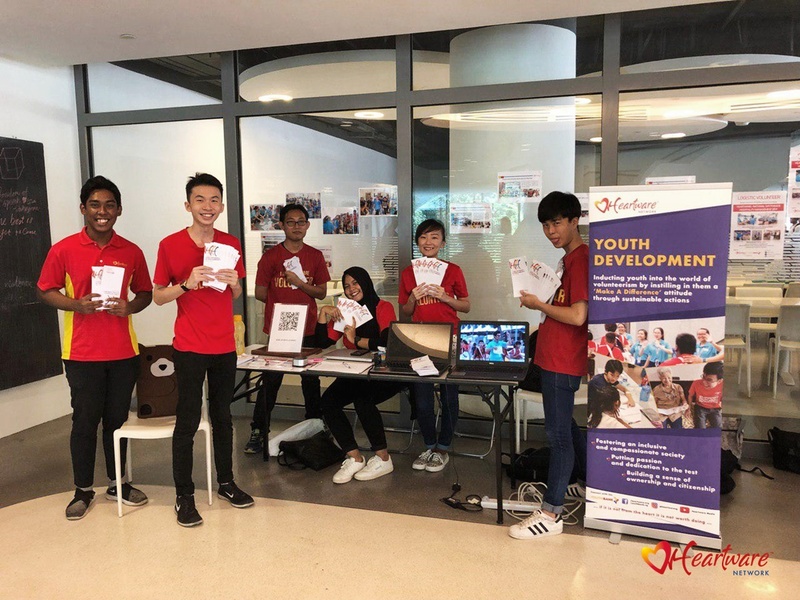 From a volunteer’s perspective, all that happens is that the volunteers sign up on Youthbank, and somehow by magic a Heartware staff contacts them to confirm their attendance for the event and the event magically occurs. I can definitely guarantee that a lot more goes on behind the scenes such as attempting to call a volunteer so many times to end up hearing “The SingTel mobile customer that you called is not available, please try again later”, to ensuring all our volunteers pass security clearances for high profile events such as the Istana Open House, and even settling the logistics such as ensuring every new volunteer has the NEW Heartware shirt. On 21 January 2019, I got the chance to tag along and be a media intern for a VIA Learning Journey. 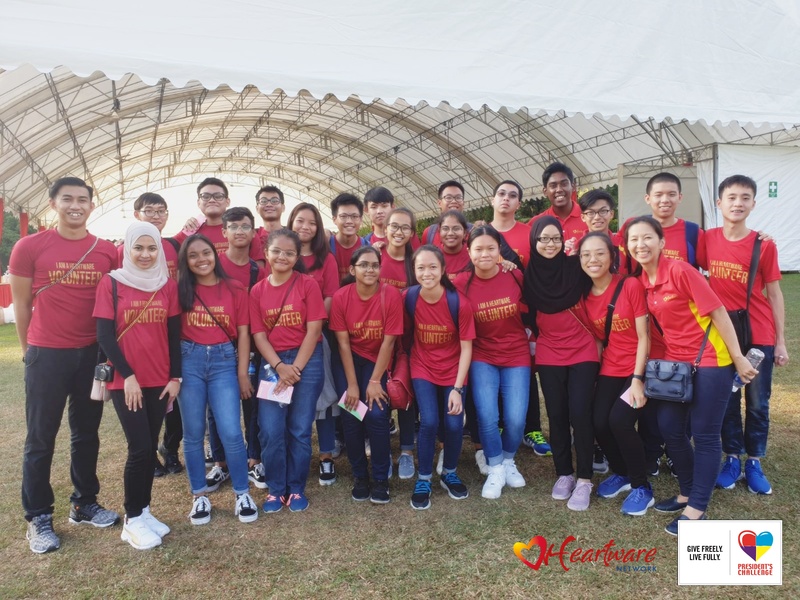 This was a project where Heartware collaborated with Dunman High School to bring out 60 students to several social service organisations to learn more about their respective good work. This event made me realise that a lot goes on behind the scenes of such events, such as calling and coordinating with many organisations, and planning a smooth flow for all stakeholders. Having to learn more alongside the students made me appreciate VIA events that much more! The idea behind the video came from me trolling around one day in the office, the media staff, Mira saw what I was doing and liked the idea and suggested we made it into a video and that was when the journey began. The video production process took close to a week and I would say it was an astounding success. Of course I do not take all the credit for the video, the Interns played a huge role in the making of the video and a huge shout out to Syafiq for editing the entire video and making it to the success it is. Without him, all this would have been merely an idea! 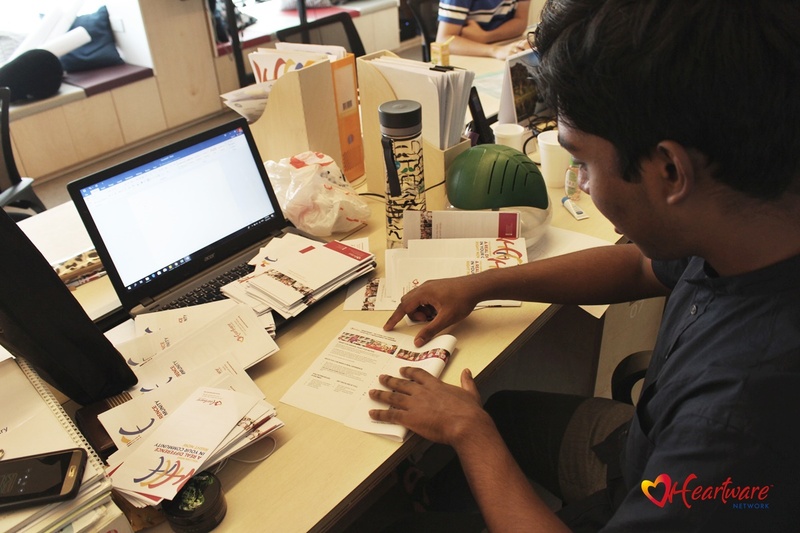 A large part of my Internship period involved me going for volunteer recruitment. I mean we need volunteers right? I couldn’t even tell you how many recruitment events I went for. Here’s a fun fact: You see that nice standee in the picture? Notice how there are no spelling mistakes? That wasn’t the case at the start HAHA. I was in charge of ordering the standee and I completely missed a couple of words with fatal spelling errors and ended up printing the standee with the spelling errors. I had to reorder the standee. Thank goodness nobody noticed the spelling flaws. Phew! 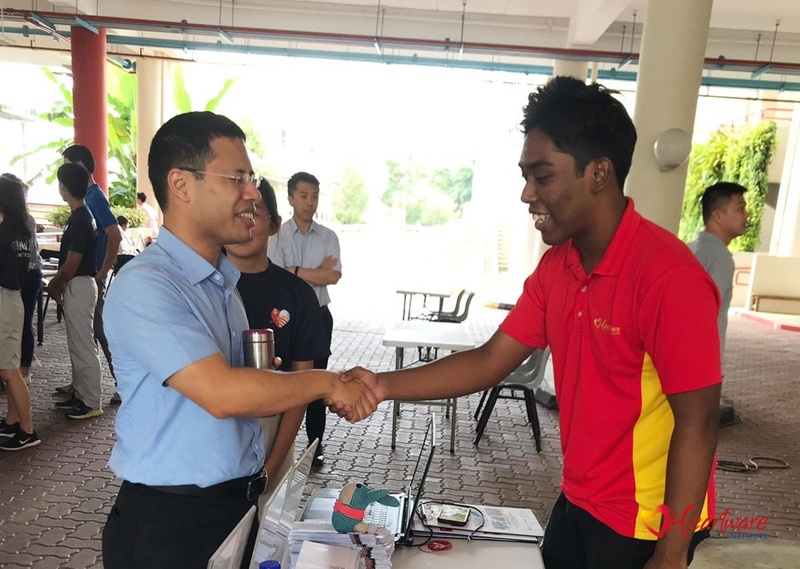 Here you can see me trying to share more about Heartware Network to minister Desmond Lee. We weren’t expecting his arrival thus when we saw him walking towards our recruitment booth, I realised we had to tidy up our booth. As you can tell I was NOT nervous at all……… I mean it’s not like if I mess up there’s going to be any severe repercussions! Meetings ended up taking a significant portion of my time at Heartware, especially the weeks towards the end of my Internship. There were times I’d only spent 3 hours in the office as I would have a meeting in the morning and another one in the afternoon. It’s these kind of opportunities that I truly value. Where else can a 19-year-old like me be entrusted to attend serious meetings like these? I also got to see a side of Heartware that most volunteers won’t see: The corporate end of the organisation. We discuss possible collaborations with other organisations and even fun and interesting things like………… OH WAIT, I can’t tell you it’s confidential! If you ever walked into the Heartware office, you’ll could probably catch me playing football. BUT that doesn’t mean I’m free or don’t have any work okay! This is just a way to distress from the tons of work that I have. And I can’t resist seeing a football and not kicking it. Folding flyers has honestly become a love hate relationship for me. I love it because it’s easy and doesn’t require much thinking, and I can watch videos while folding flyers. I hate it probably because I have to fold hundreds of this. But nonetheless its part of every Internship experience. And of course, the best part of Heartware Network is the people! Be it the staff or volunteers. Every single one has made my Internship here so much more meaningful and memorable. For the Heartware staff, you all are more than friends or colleagues. You guys are family. Everyone is super helpful and understanding and have really guided me at some point or another. 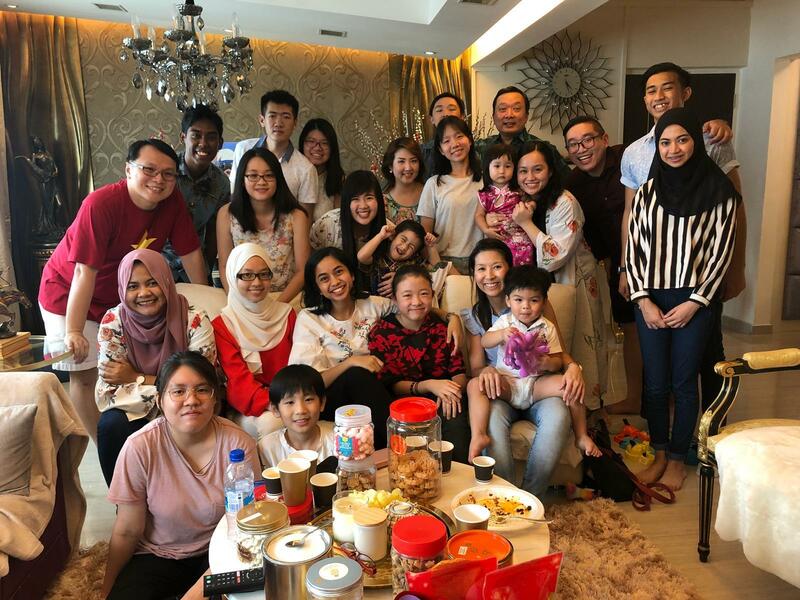 Not only that, I have also learnt a lot of life skills and gained a lot of knowledge about the social service industry in Singapore. For the Volunteers that were under my care, I say THANK YOU for volunteering and contributing to my internship experience. It’s because of you that makes what I do so much more worthwhile. I love the fact that we can be friends even after the volunteering event ends and even go out together from time to time (you guys know who you are hehe). I hope this little write up gives you a better impression of my life as an Intern at Heartware Network. I am low-key sad that I have to leave so soon because of National Service but I will definitely continue to volunteer and who knows, maybe I’ll return after my service in 2021 again as an intern. Once again, I cannot thank you enough. See you again!